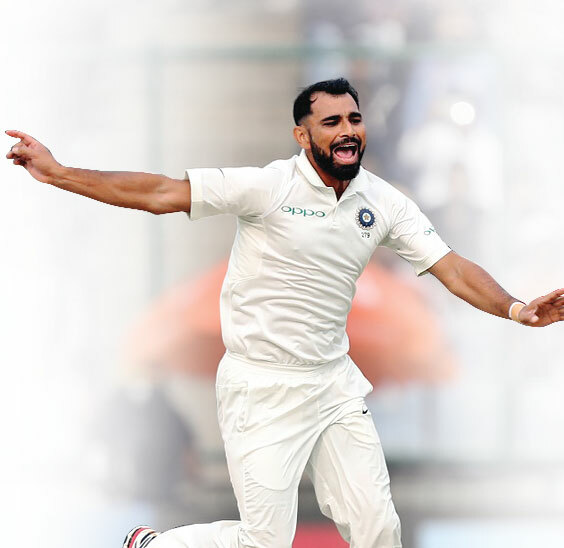 The BCCI had decided to withhold Shami’s contract after Jahan made a series of allegations, including adultery and domestic violence, and lodged a police complaint against him. Shami has denied all the allegations. The Committee of Administrators (CoA) specifically asked its ACU chief Neeraj Kumar to investigate charges that the bowler accepted money from one Mohammed Bhai through a Pakistani woman named Alishba. “The Hon'ble Supreme Court of India appointed Committee of Administrators (CoA) had requested Mr Neeraj Kumar, former police commissioner of Delhi and head of BCCI anti-corruption unit, to investigate the allegations against Mohd. Shami in so far as they pertain to the provisions of the BCCI Anti-Corruption Code,” COA stated in a media release. “Mr Neeraj Kumar has submitted his confidential report to the CoA. Based on the conclusions in the said report, the CoA is of the view that no further actions/proceedings under the BCCI anti-corruption code are warranted in the matter. For this reason, the BCCI shall proceed with offering a Grade ‘B’ annual retainership contract to Mohd. Shami,” the release further stated. The BCCI top brass had always maintained that they will not sit in judgement about Shami’s personal life.